We’ve still been going strong with the rolling dinner party tour and for the month of September the stop was at my fellow teammate M’s condo. Not only was she hosting but it was her birthday as well. What was on the menu, you ask? 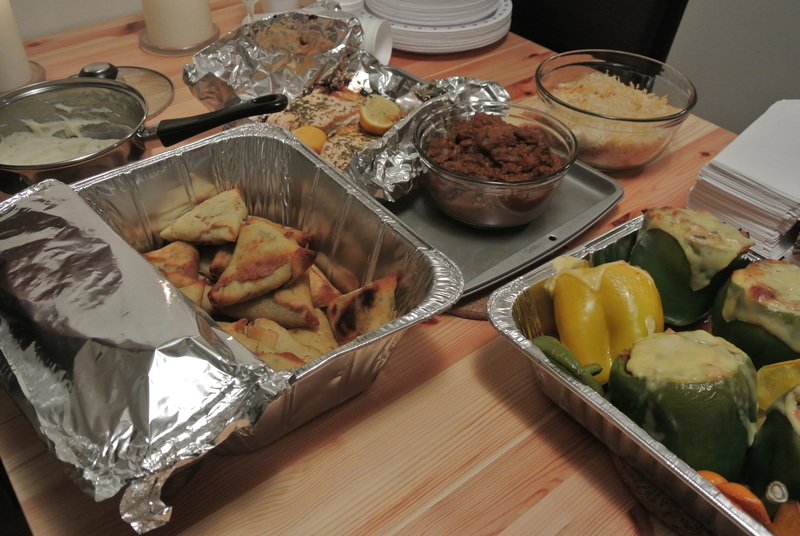 Oven roasted salmon, homemade beef curry and rice, vegetable samosas courtesy of L, stuffed peppers (made specially by A) and for dessert, our friend S’s red velvet birthday cake! It may seem like it was a mix of random items but somehow it all worked together and tasted great!!! Best of all, its the company that really makes the dinner parties fun….and we had a blast. Thanks M for a great dinner! 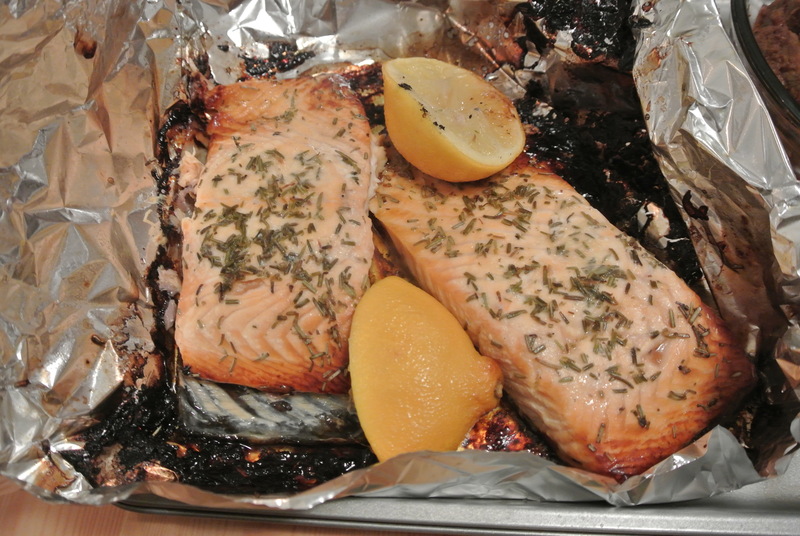 Dinner table buffet – YUM! 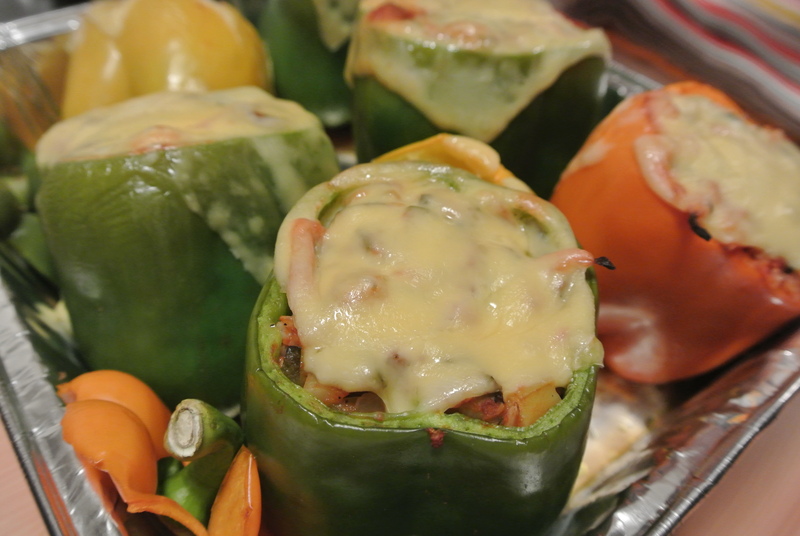 A’s stuffed peppers topped with cheese – delicious! 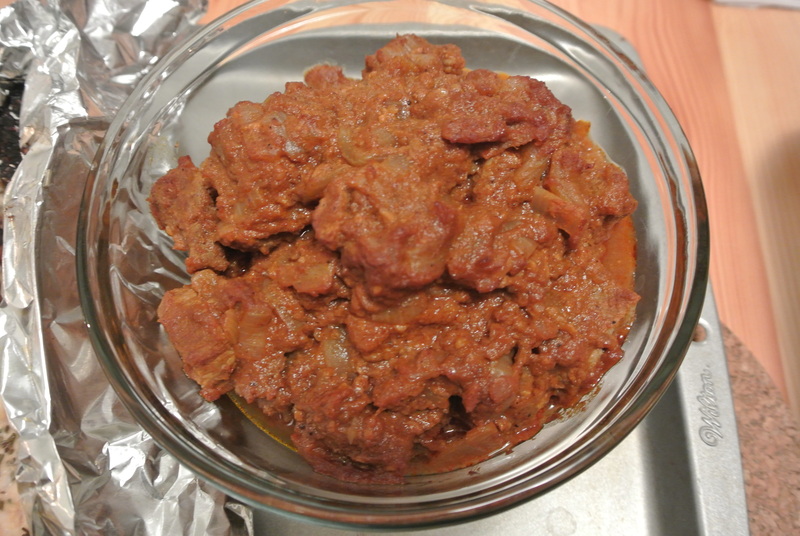 Homemade beef curry – I find curry one of the most difficult things to make so I can appreciate a good curry when I taste one and this was delicious!!! 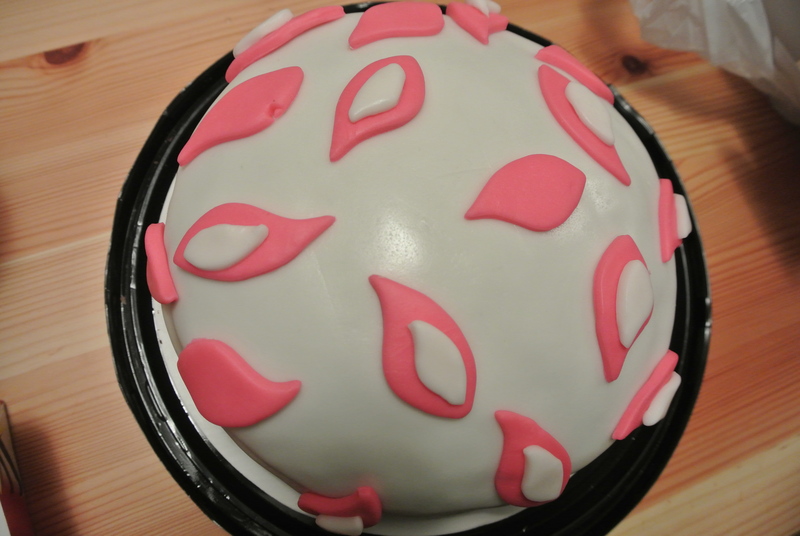 S’s Red Velvet Birthday Cake – so moist and yummy! I love a good cake!